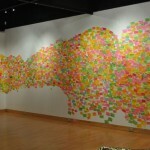 In 2009 the artist founded the ‘Love Carlisle’ project to challenge perceptions about the city. 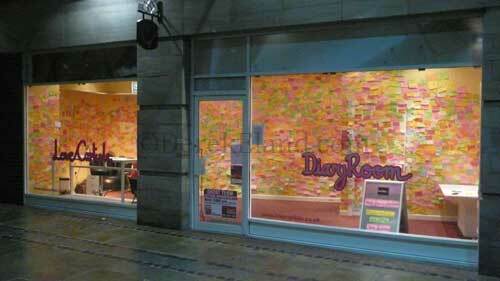 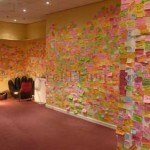 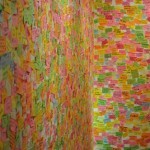 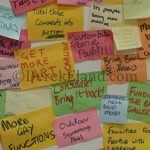 The culmination of this work was the creation of a Diary Room in the city centre where members of the public could write down their thoughts about Carlisle on post-it notes. 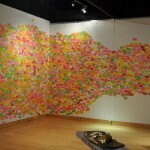 Over four thousand people engaged with the project and the resulting work was recreated in a gallery context as a 54ft long installation at Carlisle’s Tullie House Museum and Art Gallery in 2010.